Posted on October 13, 2013 by Virginia Posted in 2013, Family, Food, Holidays, NL, Nostalgic, Ontario	. 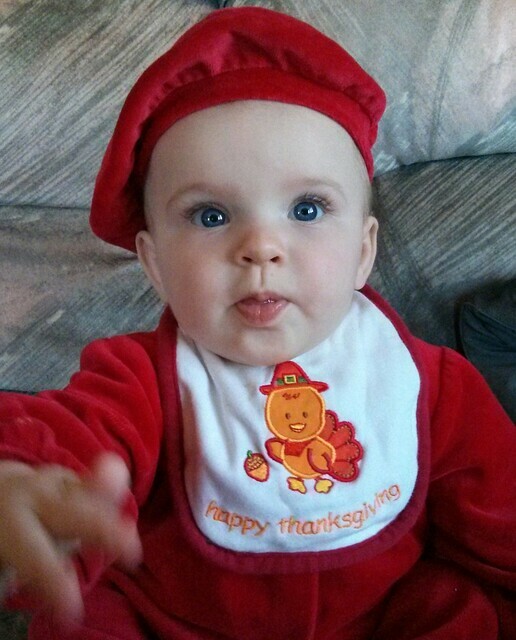 While visiting my in-laws in Barrie, ON two weekends ago, we had an early Thanksgiving with family and it was great. Turkey dinner and pumpkin pie. We even had pumpkin ice cream with made the pie even more epic. Last weekend my family had an early Thanksgiving dinner because some family members are out of town or busy this weekend. My parents deep-fried a turkey. Have you had deep-fried turkey? OMG it’s ridiculously delicious. Now before you get all health conscious on me, eating a turkey that has been deep fried isn’t completely unhealthy (unless you eat the skin of course). The turkey is always moist and tasty and not greasy at all. And in the interest of time, you can cook your turkey in only 40 minutes (and sometimes less!). I’ve shared this video before on my Facebook and Twitter accounts, but it seems only right to post it here too. In fact, I’m surprised I haven’t before now! This is us deep frying a turkey at our summer home a few years ago. The production quality isn’t stellar and it’s completely unscripted… but we did have a lot of fun. And of course, it wouldn’t be Thanksgiving without the annual watching of this classic WKRP in Cinncinati clip. Whenever I watch this, I always think about my dad and my brother because they loved it when I was little.